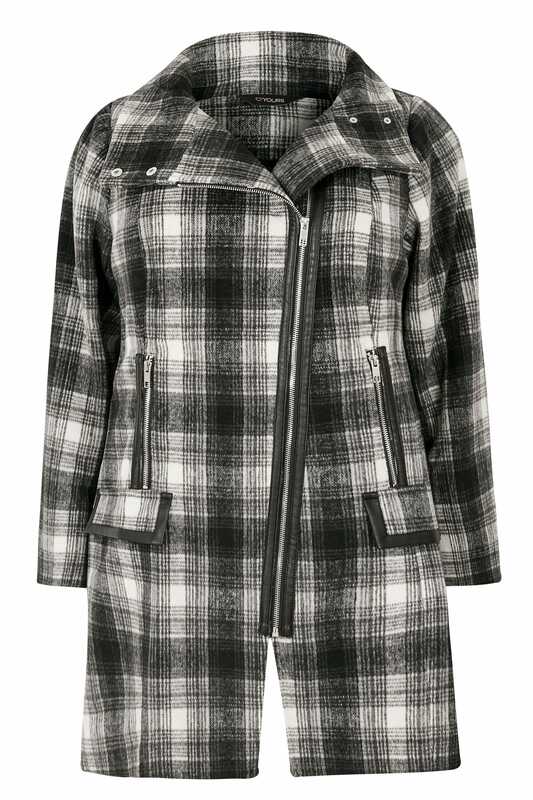 Crafted from a soft wool blend, this check print coat is the perfect piece to take you through the transitional seasons. 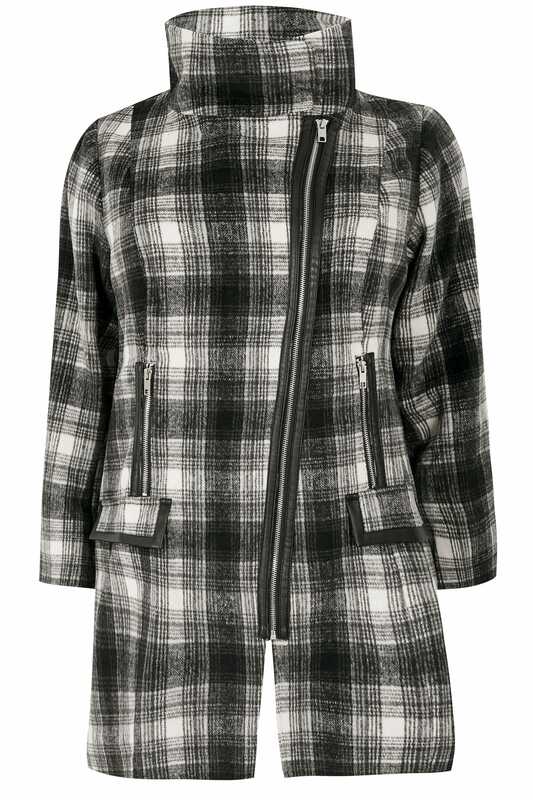 Designed in a trendy asymmetric shape, it features chic PU leather trims, a press stud collar and biker style zips. Layer over your skinny jeans and ankle boots for a sleek weekend look, or throw-on over your workwear to keep you cosy on your commute. 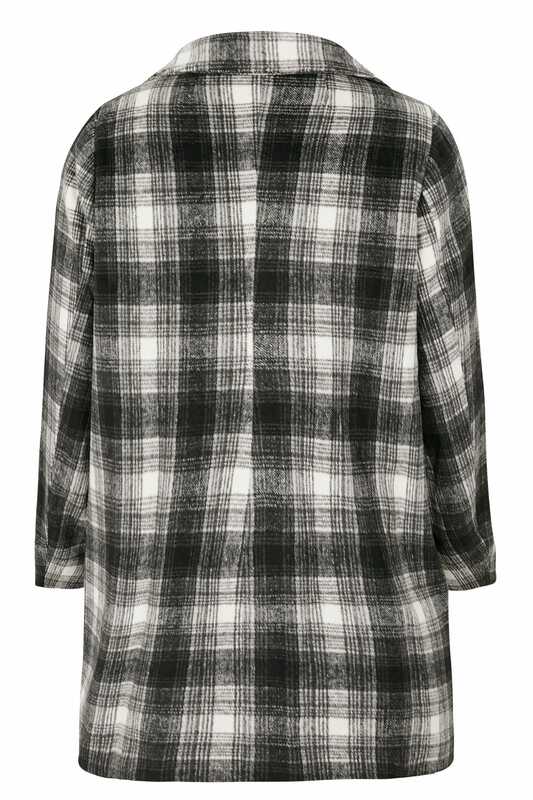 Check prints are totally chic and on-trend this season.